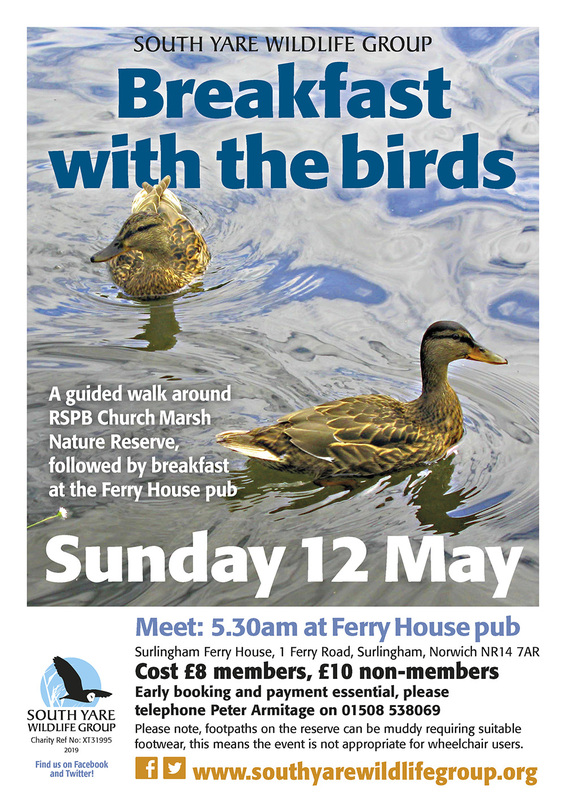 Join the South Yare Wildlife Group for a guided dawn chorus walk at Surlingham Church Marsh. Breakfast afterwards is served at the Ferry House. Meet at the Surlingham Ferry pub, 1 Ferry Road, Surlingham, NR14 7AR. Cost: Non-members £10; members £8. 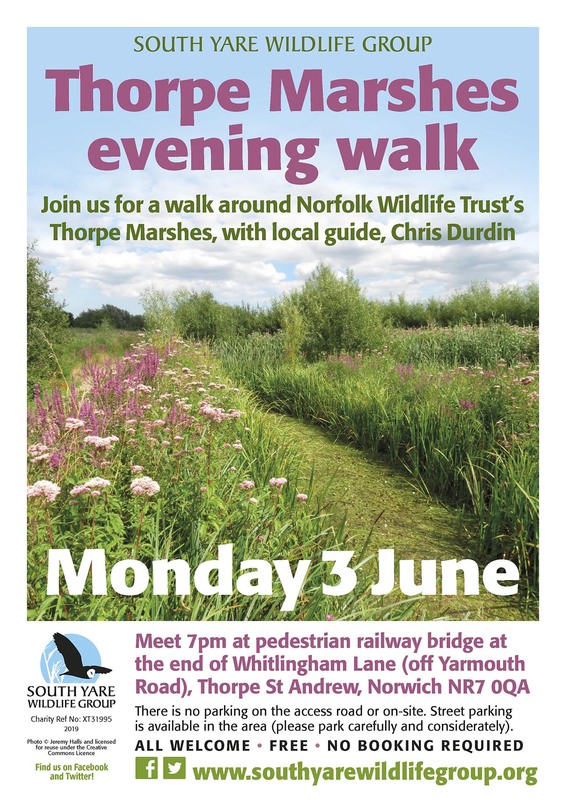 Grab your binoculars and join the South Yare Wildlife Group for a walk around Norfolk Wildlife Trust’s Thorpe Marshes (approx 1 mile) with local guide Chris Durdin. Meet at Whitlingham Lane, Thorpe St Andrew, NR7 0QA. (There is no parking on the site or Whitlingham Lane. On street parking is available in the area, for example on Yarmouth Road and Thunder Lane). Join the South Yare Wildlife Group to open moth traps, plus other family friendly activities.Join the South Yare Wildlife Group to open moth traps, plus other family friendly activities. Meet at Claxton Village Hall, Claxton, NR14 7AS. Cost: Non-members £2; members and under 16’s free. 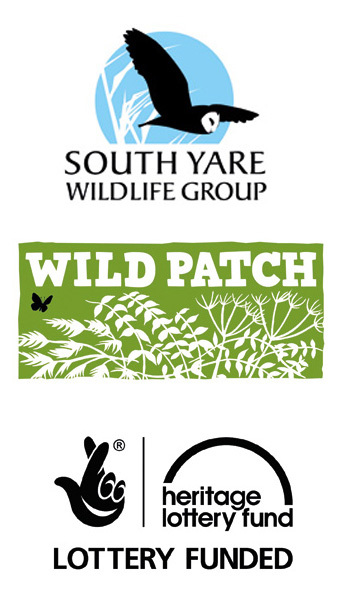 Join the South Yare Wildlife Group for an illustrated talk on the Future of Farming and Conservation, by Martin Lines, the Chair of Nature Friendly Farming. Meet at the George & Dragon Barn, The Street, Thurton, NR14 6AL. Cost: Non-members £5; members £2; under 16’s free. Join the South Yare Wildlife Group for an illustrated talk by the British Trust for Ornithology (BTO) about our “Garden Birds”. Meet at Poringland Community Centre, Poringland, NR14 7WB.